I am looking forward to holding another land art and sense-based learning workshop with the researchers at the Pufendforf Institute at Lund University. 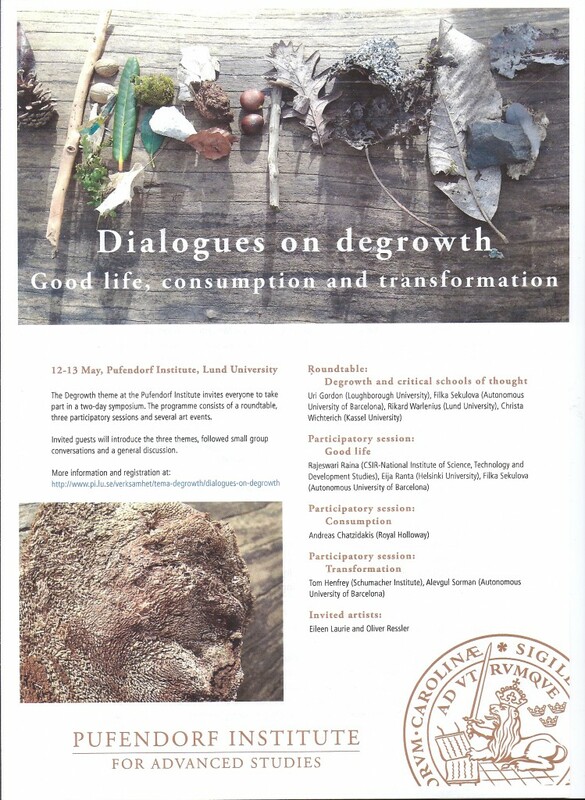 It is part of a two-day symposium titled ‘Dialogues on degrowth: Good life, consumption and transformation’. The programme consists of a roundtable, three participatory sessions and several art events. I’ll post photographs of the land art soon!